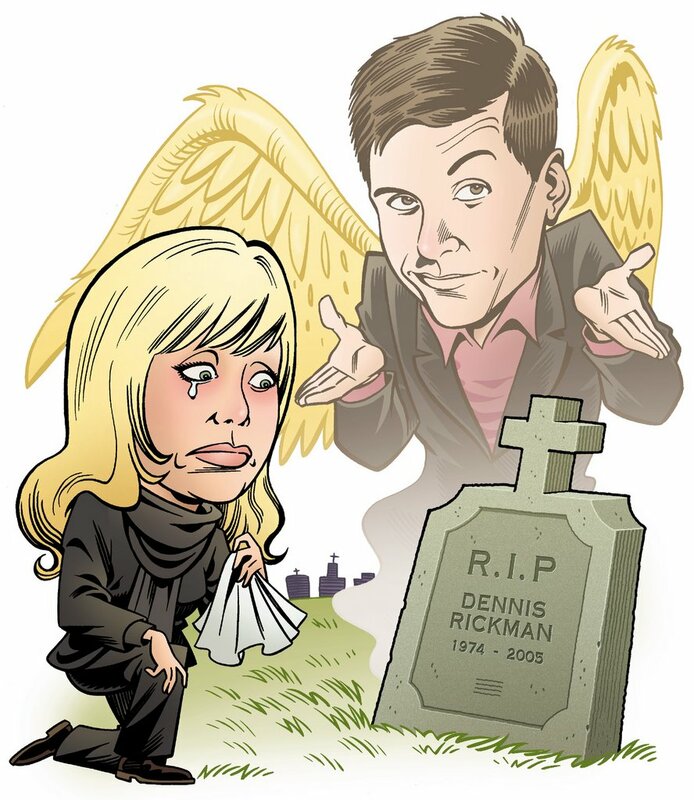 I don't watch soaps -- never have, never will probably -- which makes it kind of odd that doing caricatures of the stars of EastEnders, Coronation Street et al. for the magazine Inside Soap is my main source of income. They send me the photos, I turn the job in on time, everybody's happy. Anyway, here's the most recent one -- EastEnders, and that's about all I know. The rest you'll have to work out yourselves.